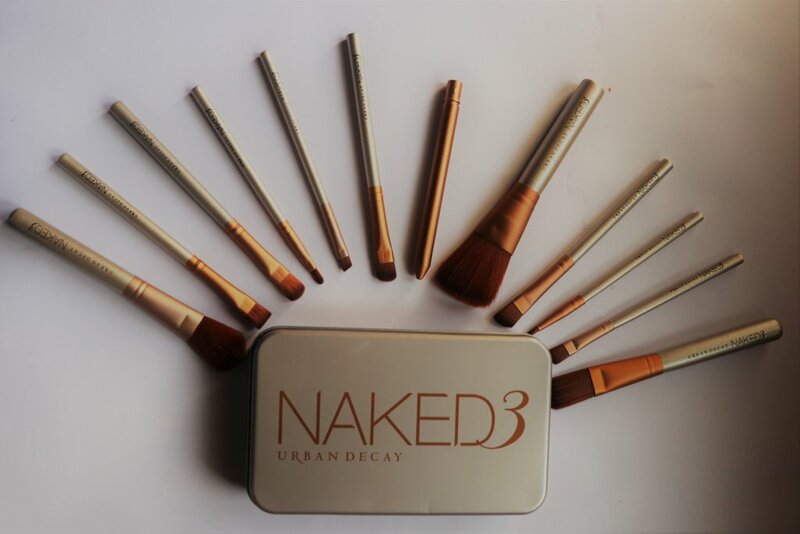 Firstly, I would love to talk about the packaging and appearance of this Naked 3 brush set because I am highly impressed with the outlook and how they reached my hands. I found this kit on Amazon and immediately ordered it by being completely smitten by the price and the appearance. The kit came in a dusty silver tin box and labeled Urban Decay Naked 3. It contains 12 different sized brushes and all are wrapped in a plastic, impressing me more. Each brush has a silver body with golden colored edge (looking like of wood in some manner which is totally cool) and has soft brown hair. The complete kit is travel friendly and can be a part of your daily tour with much ease and convenience. What else one needs??? Just like me, I know you all are in complete awe with what you see. That’s why I gave it a try and now sharing my review with all of you to do the same. Each brush performs a specific task and will not let you down or disappoint you in any case. And I am saying this because they are a part of my daily makeup and look. Let’s find out what these 12 different brushes are for and how they can help you in transforming you look without blinking (I mean you can blink if you like). What’s actually in the box!? Powder Brush – First comes first. As applying face powder is a part of our daily look, we need this brush in complete possibility. Don’t you agree??? It’s extremely gentle and blends the face pack easily into the skin without leaving any mark of patchiness or blotting. Eyeshadow Brush – How can you miss this one??? If you love colourful eye shadows, do not strike this out in any case. You are going to love this one. Large Eyebrow Brush – This is my personal fave one because it does its task so perfectly and efficiently that I can never dare to skip this one. Don’t you want it for perfectly lined big brows??? Medium Eyebrow Brush – Depends on your fashion need and requirement, these brushes are designed. Pick this one for sassy medium length eyebrows. Small Eyebrow Brush – I don’t think so that I need to define this one too. This kit is a complete package for all your makeup needs and desires. Lip Brush – Those perfect pouty lips can only be achieved with the fine designed lip brush and which is here in this kit. So, I should say that this brush kit is must-have for every fashion loving woman. Get yours from Amazon and share your experience with me.